Living without the appearance and full function of your teeth is not how you want to spend your life. Thankfully, with dental implants, you’re able to get back to eating the foods you love, speaking clearly and smiling with confidence. Thus, once your teeth are restored, the last thing you want to endure is failed implants in Friendswood. As you read on, you’ll learn what causes dental implants to fail, the warning signs and how you should respond. Tobacco Usage – Chewing or smoking tobacco leaves the oral cavity dry and more conducive to bacteria growth, which can contribute to the implant failing soon after placement. Teeth Grinding (Bruxism) – Bruxism is a serious problem that results in excessive tension being applied to your upper and lower teeth, which can lead to your implant unseating. Insufficient Healthy Bone – For the dental implant procedure to be successful, requires that you have enough healthy bone for the titanium post to affix to. If a sufficient amount of bone isn’t available, the implant will become wobbly and could dislodge. 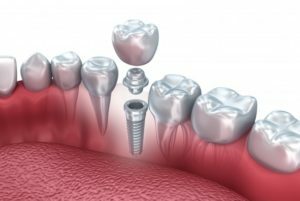 If you notice that your dental implants in Friendswood are starting to fail, then you should immediately reach out to your dentist to schedule a visit. The professional will thoroughly examine your mouth and make a determination on what’s the best route to take to fix the problem. One of the options may be to receive a bone graft to build up the underlying material. The key, though, to getting the help you need is to take a proactive approach and to not wait on the problem to get worse. So whether you need your teeth restored or your dental implants fixed, reach out to your local dentist to schedule a visit today. A graduate of the University of Texas Health Science Center at San Antonio, Dr. James T. Sierra has been a fixture in the Pasadena area for over a decade. To ensure that he provides his patients with the best in dental care, he’s taken over 1200 hours of continuing education, and he’s a Fellow of the International Congress of Oral Implantology. Dr. Sierra helps patients regain the quality of life they desire with dental implants, and he can be reached for more information through his website.